Not only do we like to look at different shed retailers here at WhatShed, we also like to have a real good look at the major garden structure brands that we have here in the UK. 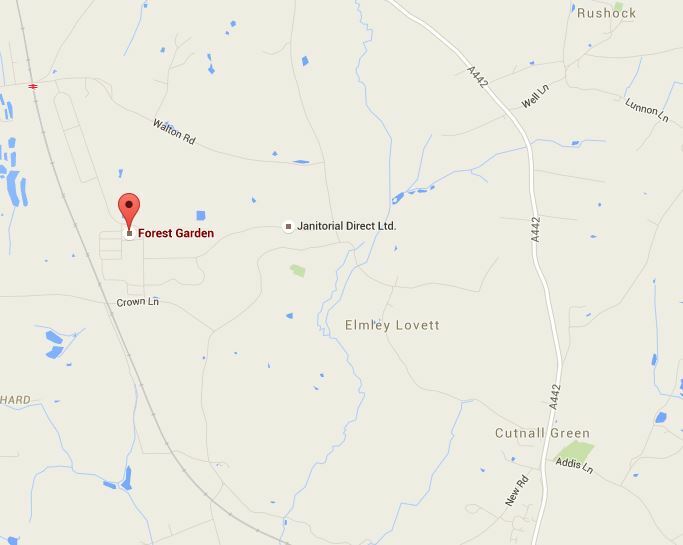 Today we are taking a closer look at Forest Garden, who are one of the top brands in this great country of ours. We are going to make sure that this Forest Garden review is fair and also that you know exactly if this a brand that is worthy of your hard earned money. 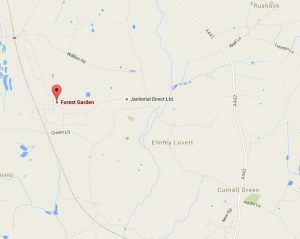 We knew when we started this review that Forest Garden were a well respected and good and proper British brand. But in our research and as we dug deeper into what makes these folks tick, we realised that they have been in business since the late 1990s with a real push in 2006 following a new management structure and other procedures in place to make sure they could keep up with the demand that was coming their way. Forest Garden actually has a sister brand in Larchlap, which in its own right offers plenty of fantastic products. Forest Garden take real pride in the fact that their products are not only made in the UK, but they are done so using locally sourced timber. Forest Garden: What Kind Of Products Are In The Forest Garden Range? When it comes to the kinds of products that are part of the Forest Garden brand, you are going to be very impressed with the vast amount of products that they have. 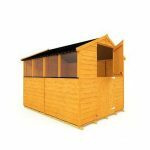 Of course they have what you would expect from any good garden structure brand – things like sheds, workshops, summerhouses, playhouses and other garden structures. As well as this though, they also have a great range of things like arbours, gazebos and pergolas which work as fantastic accessories in any garden. 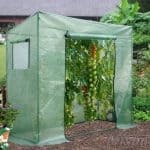 Also we are very impressed with the way they have a great selection of things for those of you with green fingers, as they have cold frames, greenhouses, gardening equipment and other such items. One thing in particular that we want to mention here is their log stores. Forest Garden have some of the most well designed and gorgeous looking log stores that we have seen, so be sure to have a look at them. In all the selection of products in the Forest Garden range is just incredible and we are sure you will have a lot of fun looking through them. We really like how if you want, you really could have your whole garden be filled with Forest Garden products. Not only do they have the structures which we mentioned above, they also have you covered when it comes to things like fences and decking. We think for those people who want to make sure all of the items in their garden have a kind of uniform look, the fact you can purchase every kind of item you would need as part of this brand is something they will see as a big plus. Forest Garden: How Is The Quality? One thing that is for sure about Forest Garden products is they certainly do have a very high quality look to them and we feel that the last few years they have really stepped up their game when it comes to manufacturing. Forest Garden actually have one of the largest manufacturing site of any garden structure retailer, as during their most busiest part of the year they can send out up to 3000 products a week. We know that to some this may sound a little alarming and of course when you are making this vast amount of products, there is sure to be the odd bad egg that slips out the door and winds up being sent to a customer. We have read some mixed reviews on their products, but we feel that the fact they ship so many and there are very few reviews, shows that when people get a shed that is good they just take it as it is, whereas if they get something that has issues then they will tell anyone who will listen, which is understandable. Forest Garden: How Are The Products Priced? During this Forest Garden review, we have looked at many, many different Forest Garden products. Not just to see what they look like, how they are described or even what people think of them, but to also get an idea of the pricing of these products. Now to be fair we found that in general the pricing of the Forest Garden brands on all the retailer sites we looked at were very comparative with what other brands are being sold for. But there was one thing that caught our eye and that was some of their smaller and lower quality sheds are a little higher priced than some of their competitors. For example, they have a compact sized 4×3 Shiplap Apex Shed for which they are asking £199.99. We have seen similar sized sheds for a little less than this, but we must admit that the fact they use locally sourced wood from the UK may appeal to some people willing to spend that little bit extra money. 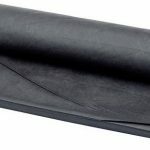 We do not mean to put them down as most of their other products are very competitively priced, we just feel that they could be a little better at pricing some of their lower end products. On the flip side of this, when we looked at some of their higher end products such as the gorgeous Alderley Log Cabin which costs £2699, we felt that their prices for these items were very reasonable and if you do have a couple of grand down the back of your couch then you can get a lot for your money with a product from the Forest Garden brand. Forest Garden: How Customisable Are Forest Garden Products? We had a real good look around the Forest Garden site and we get the impression that they take such great pride in the way their products look that they would prefer people not to mess around with the looks of them. Hey we totally get it, it is a bit like an artist painting a portrait of your nearest and dearest and then you painting silly faces on it. Okay so it may not be totally like that, but we do understand why some brands are not too forthcoming when it comes to customisation. When purchasing direct from Forest Garden, you really have no customisation options given to you at all. Some other sites though, like Shed Store for example, do offer you extras and the odd customisation option here and there with some of their Forest Garden products. Just because there are no official customisation options available from Forest Garden, it does not mean you cannot have a little fun and make sure that the shed you bought to keep your tools safe or the summerhouse you have installed to enjoy your free time cannot be made to suit your personality. Painting a structure is always a great way to change the look a little bit. 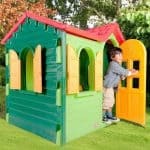 Plus if you need to treat your shed, playhouse or other kind of structure then you can do this with a coloured wood treatment which will protect the wood and also give it a bit more style. So while this is not a brand that offers a whole lot of customisation, you can still make a Forest Garden product have a little bit of your own personality quite easily. When we started our Forest Garden review, we knew that we were going to be impressed with many of the products that are part of this range. The fact they are not only based in the UK, but also make their products here and use UK-sourced wood earns them major cool points from us. We must admit that the amount of negative reviews we saw for some of their lower end products did make us raise our eyebrows just a little bit, but when you consider the thousands of sheds, playhouses and other structures that leave the manufacturing plant on a weekly basis, there is bound to be the odd one here and there that has an issue. We are not saying this makes it okay for this to happen, but we always say that people are always more likely to write a bad review than a good one, so keep that in mind. The quality of their product was good quality and good value for money, however their delivery service was diabolical. We ordered 2 sheds from them and probably 50% of the required items to build it were missing. We re-ordered the missing parts and half of them turned up. We then phoned them up direct and requested a specific date for the remainder to be delivered as we didn’t want to have to take yet more days off work. Was told that they would be delivered when they were delivered and it would be between 3 and 5 days. Their products are good, they just need to bring their supply chain into the 21st century. Other companies can narrow down delivery to a couple of hours. A couple of days seems surprisingly lengthy these days. Thanks for the feedback Sally. I am sure this will help others. Customer service is absolutely terrible – products may be of high quality – but delivery is slow and if you dare question it they become very aggressive, I have not seen the product yet and I am going to try and cancel I would not support a company no matter their reputation for quality and locally sourced materials that have no respect for customers and their hard earned cash!!! Very disappointed indeed but I am sure other companies are available with a much better attitude towards customers. Bought a glass house from them at nearly £2k. Very poor quality. Had it about three years now. Have had to replace most of the hinges and brass effect fittings as these have snapped, one nearly causing the door to drop off. Had to rebuild the door as the door stay snapped in half in wind and resulted in a chunk of wood pulling away. Customer service is diabolical and one so called manager was extremely sarcastic. No help whatsoever. Very poor Eastern European product. Do not recommend at all. I purchased a forest garden shed through Littlewoods catalogue, within 6 weeks it had fallen apart, warped and split. I was offered replacement 2 panels but the quality of the wood is…well, the word quality is seriously not the right word! Customer service absolutely rubbish and I’m now in touch with trading standards over the matter. I certainly would not recommend these products! Took delivery of an 8′ by 10′ shiplap apex shed ordered by one of my customers to rep!ace the ‘prattens’ shed which has lasted over 25yrs despite being stood directly on the soil ! Doubt the ‘forest’ shed will last half that even properly sited ! Very poor quality , no glass only flimsy blown plastic,roofing felt like tissue paper,didn’t arrive until 6 in the evening,the delivery guys couldn’t speak English ,unload without damage,or even have a knife to cut the banding ! Clearly forest put profit before quality,customer care,and even their own employees. This would have been a good review: love my Victorian Wall greenhouse, delivery was spot on, price was good and customer service was great. Until I realised up in seeing my bank balance that I have been charged twice. I emailed and sent a photo of my bank statement but nothing. I had an email assuring me that someone from accounts would get back to me. I emailed again and telephone and still nothing. The money was taken out my account in July and I alerted them at the start of August. It is now September and still nothing. i will try phoning and emailing again. I am incredibly irritated that it is their error and I am having to chase them for money they have taken out of my bank account. I feel they are trying to fob me off so I can see no other alternative than to take them to the small claims court. Well the good news is that someone from accounts has taken my account details and I look forward to receiving my refund. My advice is be careful giving out your bank details because companies do make mistakes and then it is a huge pain trying to sort it out afterward. I still like my greenhouse though. 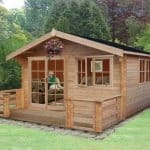 I purchased my Forest Garden log cabin from Costco who were excellent but I had many issues with the installation carried out by Forest Garden. For details please visit http://youtu.be/kMdbuJMElGo. Any feedback from others welcome. I would not recommend this company, Firstly they were not able to get even my contact details correct so had complications with delivery but this is only one of many issues. The product arrived damaged. Then a window was broken during insulation. The wrong replacement window was then sent, the doors were fitted with one upside down. After numerous telephone calls to the company months later the problems have been resolved. But the customer service is very poor and no one returns your calls. I feel the compensation they were willing to offer insulting and the attitude of the manager I spoke to was very discourteous. I would warn anyone from using this company. I was left feeling very unsatisfied with the service they provided. Not to mention during one of my numerous telephone calls to complain they mistook me for another customer who was also having trouble getting the right parts. So guess I was not alone. Quality of the fences and posts were actually very good! The only let down was that the delivery was 3 days late. Very poor communication from forest garden, when I asked initially when my order would be delivered I was told that they don’t know but should be with me soon. Not impressed. “Europa” fencing products. We chose them specifically for the design which is strong and modern , suiting what we wanted but we had to refuse delivery of one set of fence panels because they were very mouldy. The gate had to be delivered separately which meant further delays. Had enormous trouble finding ate fixings, eventually (after 20 phone calls) tracked one down to the next county and they only had 1! The gate fixings pack had crooked hinge pins, bolt hole misaligned and had to be widened with a drill, latch spindle too long – despite being designed specifically for this gate!). . The low score for availability relates to the fact that it was almost impossible to obtain the gate fixings set anywhere – although, with hindsight, we’d have been better off without it! Delivered the wrong size fence panels and then said it could take over a week and a half to send out the correct size. When i explained I needed them asap because i had people coming to erect the fence in 2 days they said it was basically my fault for arranging fitting before receiving the panels. So they get the delivery wrong but end up blaming me for the situation. Not good enough. When they get deliveries wrong they should put a system in place to rectify asap and not just rebook as a standard delivery.Will never buy from them again. 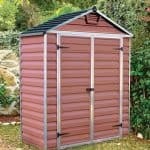 Purchased an Avon overlap shed via sheds.co.uk – received a different make shed namely a Forest Larchlap shed. It would be easier to list what is right with the shed than what is wrong with it. Warped panels, damaged plastic windows, splits in wood, gaps in end panels, gaps round door, thin tissue paper like felt for roof. Door hinges that bent out of shape the first time the doors were shut. Currently negotiating replacement, taken two weeks so far, sheds.co.uk do not reply to emails. Forest Gardens will only collect a dismantled shed – I am disabled and am refusing to pay for someone to come and take it apart when it was Forest Garden sub contractors who insisted on putting the shed together even as we noticed faults as the build prgressed. Am insisting on an Avon or Rowlinson shed and the installers to dismantle and rebuild new shed on same day….. If get no answer by tomorrow I will be involving trading standards. What an absolute shower,the sheds I ordered were wrongly positioned and cockeyed, they were delivered late and short of parts(roofing felt and window panes),one shed wasn’t built square,the build started on the 24th May 2017 and we still haven’t got them built.Customer Service shocking.Avoid at all costs. Recently bought a T&G shed which was a very big disappointment. The quality was very poor with large gaps between the T&G , the door didn’t fit and the floor was very weak, nothing like the strong and robust description in their advert. Also small details are not as per the advert. Only one window opens, advert says two, lock supplied was for inward opening door. I purposely didn’t buy one of the cheaper sheds as I wanted to ensure better quality. Generally overall very poor quality and not like the one pictured in the advert at all. They did accept it was not fit for purpose and arranged a collection, but it hasn’t yet happened so don’t know how quick the refund will be. This is the worst shed I’ve ever bought. I was prepared for plastic windows, thinking of “plexiglass” which I’ve had before. What I got was plastic you could cut with a knife, Wood quaity was poor and the nailing of the prefab panels was so inaccurate the shop lap was split. Instructions left out key bits: the roof panels are asymetric and the instructionsdon’t tell you which was is up. Of course their “help” line is off during the weekend when people put up sheds, so that’s no good. My advice is avoid this company. Received Shiplap. Reverse pressure treated 6×4 on 7th Nov. I must say what a disgusting item. Warped split panels, flimsy. It will not need a window because there is enough light coming through the gaps in the shiplaps. Best thing about this product is the door ! I did receive some fencing equipment but there was no trouble with this. That’s why we went with forest. But since, upset and disgusted with the So Called Shed. Sounds like I have the same shed as Ron Francis. Warped panels with large gaps between them. Lots of knot holes that needed filling to keep out the rain. Door was not too bad but quality of hasp a joke. Took a day off work to accept my new sleeper bench. To get a message telling me there was a vehicle issue and would deliver it in the same window the following day. When I rang up the lady let slip that the driver had not come to work that day and but the end of the conversation her tone became very patronising so I ended up having to take the next morning off work again! But when the bench arrived it didn’t really look like the picture. Sorely disappointed with this company and wouldn’t recommend them to anyone I talk to!!! Purchased an 8’x10’ double door apex shed. It cost over £500 and it was easy to order, delivered as advised by two men, can’t fault that part of the order, BUT the quality of this shed is VERY DISAPPOINTING, very light panels, with the heat we are currently experiencing it has already bowed, very flimsy floor, we have had to re-enforce it as so springy! My advice don’t waste your money buying this shed, pay a bit extra and get something with more substantial wood that would last longer than this one. I am awaiting my 6×4 shed which was to take within 7 days it has been 18 days now and still waiting after reading peoples comments I am really worried about what the delivery is going to bring I am not looking forward to this at all fingers crossed help! 15 days later still not set eyes on my order to comment on the quality. Waited in on two separate days was even given a fictional time slot for the second day. They have lost out as the item was a tester with a view of ordering a lot more garden furniture. Been in touch with the company I placed my order with for a full refund. My advice is do not trust this company. We bought a Four thousand pound Mendip from “Forestgarden Ltd’ via Costco. The delivery and driver where very professional and helpful. 1. All the window cutouts, that are cut at the factory where to small by 50mm causing structural damage. 2. There was heavy blue felt tip marker one the wood. 3. Major bits missing from the kit. When I first contacted them about the missing bits, I was told, that they where awear that their where bits missing (namely the 5.2m long main roof batten) but they had run out!! So I would have to get my own. (And I could try to claim the cost back from them). When the cabin later developed 5cm gaps in the walls, (we later found out this was due to the incorrect window openings, cut at the factory). We where told that this summer was too hot, and that we should spray the wood to make it wet and make it expand again!! All the above can be backed up by emails and recorded telephone conversations. After months of them emailing and saying they would send out teams to fix it and excuse after excuse, we have given up and got the work done elsewhere. If you want average price, bad quality and abysmal service then Forest garden ltd is your company. Or save time, money and a lot of pain and stress and go elsewhere. I do find it strange the the review on this website is so good, yet all the customer reviews on this site and elsewhere are so bad? I Wonder if you will publish this review? Thanks for your feedback, Forest are one of the largest manufactures in the UK and the amount of complaints we see about them are pretty small. It sounds like your experience was more of an exception than the norm. Bought the 6 x 8 Apex shed with no windows. Appalling cheapest quality materials, poor finishing and fitting. Flimsy and poorly designed. Looked good in the photos though! Resent having been fleeced for a not inconsiderable amount of money and the extra time and materials needed to make it usable. It actually resides under cover – I would not bet on its longevity if actually exposed to the elements!